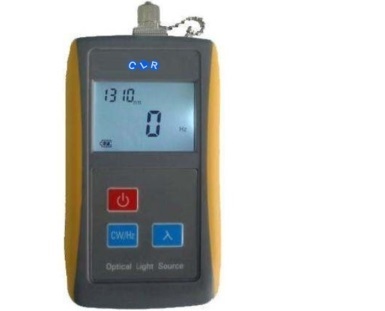 CLR-SLS-1345 fiber optical laser source is a self developed instrument, which features advanced control technology, high output, ultra low power operation. It provides automated features such as detecting faults, breaks and microbends in the fiber. The key is choosing the right wavelength for the job. It can work at 1550nm, 1490nm and 1310nm. It can export a variety of modulation frequency (CW, 270HZ, 1KHZ, 2KHZ). CLR-SLS-1345 is used (in pair with CLR-OPM-T10 powermeter) in accurately measuring the signal attenuation in the fiber optic cable during the deployment of FTTx/PON access networks and LAN/WAN links.